One of the most common requests we get from our clients is “What can I do to get more traffic to my website?” Many are hoping we have tricks up our sleeves that will bring instant results. And, sadly, there are companies out there that will promise you this by trying to figure out the current algorithm search engines are using and then using techniques to “trick” the algorithm. The reality is, there is no quick-fix answer. Ranking is earned over time. 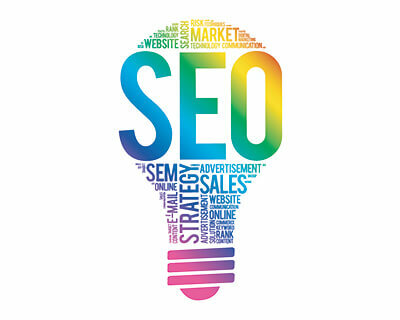 The good news is that following solid web design principles will ensure that your site will earn its ranking fairly and that it will not be susceptible to changes in search-engine algorithms the way it might be if you try to “game” the system. We know that Google uses over 200 factors in deciding how to rank sites–and they don’t tell us what those factors are. So, anyone who tells you they know how to improve your ranking is at best making a guess—and, in all likelihood they are focusing on just a fraction of the factors being used by the search engines. If those particular factors change (which we know they do), then your site could lose its ranking overnight. Quality Content: How many times have you searched the web and when you click on a link find that the website you are directed to is not in any way related to your search? Or, organized so poorly that you cannot find the information you are looking for? The reality is, people come to websites for one reason: to get information. Your website’s job is to make sure they can find it. Well-written, well-organized content is critical to search engine success. Current Content: If your site’s content never changes, it is easy for search engines to assume the site is “dead.” Make sure you are updating your content regularly. Blogging: This fits in with the previous item “current content”. Blogging is one of the easiest ways to do this. You are the expert on your business, so tell others about it! Not comfortable writing? We can help! Content writing is one of the services we provide, but unlike many other services that write “canned” content, we interview you and create articles written in your voice, emphasizing the things that are unique and important about you and your business. Social Media: There are many choices that fall under the umbrella of social media and not all will be right for every business. Be skeptical of those who tell you that you have to have a Facebook page or YouTube channel. While these choices work well for many businesses, they may not be the best choices for you. However, you do want to give careful consideration to including some aspects of social media in your business, as these can be important ways for people to find you. Other External Marketing: Social Media is one way to drive traffic to your site, but it is not the only approach. Your goal is to get the right customers to your website and the approach for doing that varies by business. Just having a website isn’t enough. Promotion of your business will drive traffic to your site, which in turn will improve its ranking which in turn will help new people find it. Attractiveness: This is the first thing that people want in their website, and it is important, however, it is meaningless if the other elements are missing. Make sure you don’t emphasize flash over substance. You want your site to look professional, reflect who you are, and be attractive so people will want to stay on it, but not at the expense of the other elements of good design. The goal of your website is to bring in paying customers (if you are a business) or reaching your target audience (if you are a non-profit.) If you are unhappy with the results you are getting from your website, consider whether you are taking advantage of all the opportunities to make sure it is found and ranked well by search engines. If you need help with your content, want to know more about blogging, want to learn more about social media, want to understand how to promote your site effectively or need help making your site more attractive, we are here to help! Contact us for more information and to learn about our services.